We left the freezing cold of Albuquerque the week before Christmas to spend a couple of mild and sunny days in Puerto Vallarta, Mexico. It was my first time in Mexico and I absolutely loved it. Despite being one of the country’s main tourist draws, Puerto Vallarta retains much of its pre-hot destination charm in the form of cobbled streets, historical architecture and a very laid-back atmosphere. We stayed in a villa up a steep street, with marvelous views of the city and the bay. A lot of time was spent reading and lazing around the pool, wandering down the hill for lunch and some browsing in the local stores. Out of all the excellent meals we enjoyed, some on street and some prepared by the chef of the house, the seafood grill we had for lunch on the beach was my favorite. 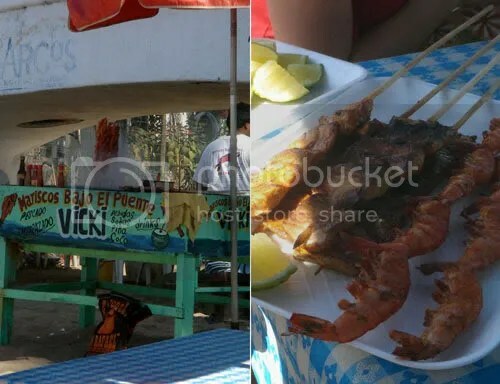 Fresh prawns and marlin are grilled on a stick and accompanied by slices of lime and a mound of salt to be dripped and sprinkled over the food. It tasted incredible and I can still taste it just looking at the pictures. I also discovered paletas, the best kind of popsicles imaginable. 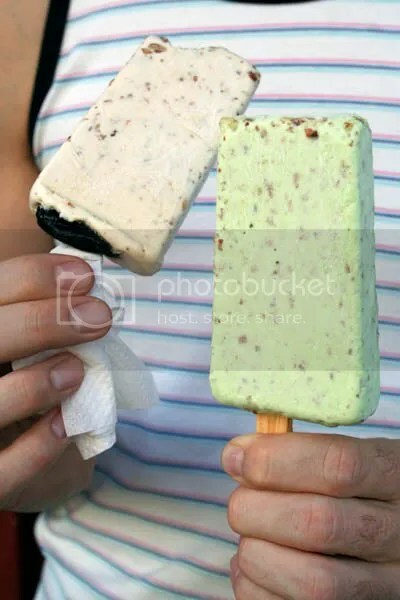 They came in a variety of flavors; tamarind, coconut, coffee, dulce de leche, pistachio and my favorite, granola, creamy popsicle with lots of toasted granola. Good enough for breakfast I’d say. We got back just in time for some Christmas baking and then loads of Christmas eating. It did not snow, but we enjoyed a fantastic holiday with family and friends. And now it is time to prepare for some New Year celebrations and resolutions, like losing all those extra holiday pounds!